Solar panels mounted on Len Bicknell’s roof in Marshfield. In Australia or Italy, homeowners can install solar panels on their roof for less than $2 per watt. In Germany, historically home to the most affordable solar, prices are even lower, around $1.80. But in the United States, according to a 2017 study by the International Renewable Energy Agency, it costs nearly $5 for every watt installed. That difference can translate into thousands of dollars. 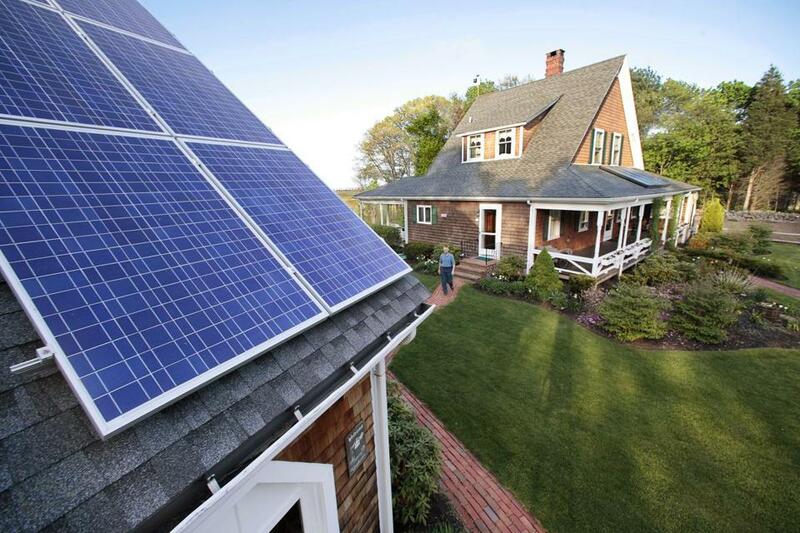 In Massachusetts, efforts to encourage solar power have focused on Beacon Hill. But lowering costs to consumers would help too. The price of the actual panels, most of them manufactured in China, doesn’t differ much by country — but labor costs do. That’s in part because of an outdated perception in the United States that solar panels are immensely complicated gadgets that require technical wizardry to install. Rooftop solar companies also spend heavily on marketing, costs incorporated into the price of installation. A German nonprofit with an office in Boston, Fraunhofer Center for Sustainable Energy Systems, has worked out a solution: “plug and play” solar. Their goal: Make it possible for homeowners to walk into a hardware store, buy a solar panel kit, and have it generating electricity the next day. For homeowners with some handyman skills, installation costs would fall to zero (in Fraunhofer’s vision of plug-and-play, connecting the panels would still require a short visit from an electrician). Once connected, the kits would electronically communicate with safety inspectors, allowing for remote approvals. Nine stories you may have missed Monday from the world of business. The technology works, as was demonstrated in 2016. The main barrier is IT. Municipalities and utilities, including municipally owned utilities, would need to have systems to process automatic permits and inspections. Solving those barriers should lure commercial producers into the market. That’s a concrete step for cities and towns concerned about climate change: Enable residents to put up their own solar panels without excessive cost. Mass. turned to oil and coal during the cold snap. Here’s what went wrong.